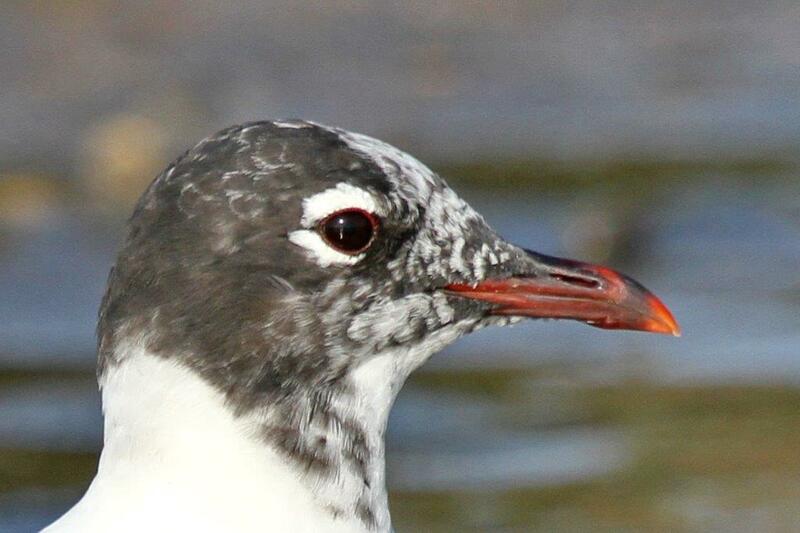 Nine participants enjoyed a sunny, windless morning of birding. Just inside the entrance were some very cute juvenile Egyptian Geese being cared for by very attentive and devoted parents. We looked up and noticed an African Goshawk flying high in the sky. There were also the usual African Palm Swifts darting about. We then went to see what we could find at the lake. 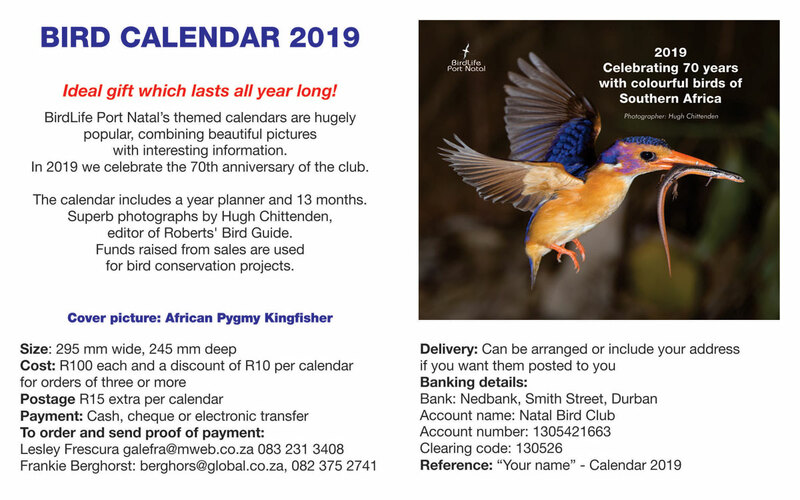 There was nothing out of the ordinary but we saw one Spur-winged and many Egyptian Geese, Sacred Ibis, African Spoonbill, Common Moorhen, and Thick-billed Weavers. The Village Weavers were very busy noisily constructing their new nests in the Fever tree. 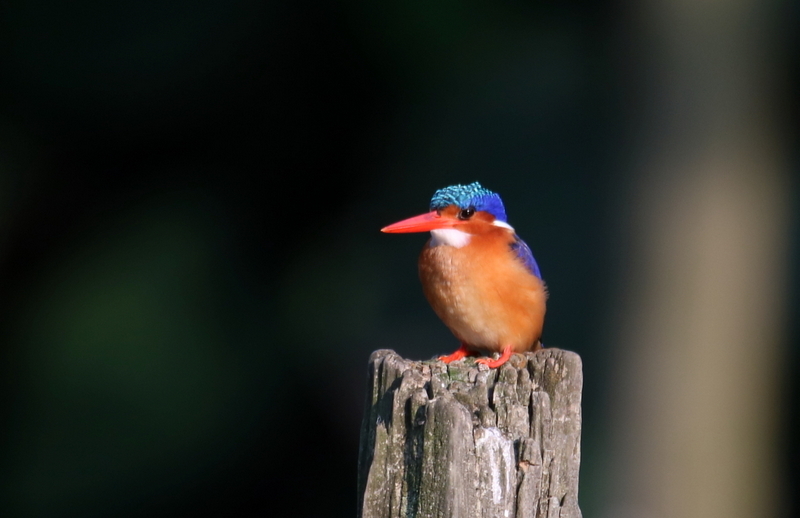 The best bird at the lake was undoubtedly a lovely Malachite Kingfisher. In the Casuarina trees were Herons nesting – mainly Grey, but also a Black-headed. Several times during the morning we saw Herons flying overhead with nesting material, towards the trees. Making our way around the gardens we came across a bird that made our brains work – Dusky Flycatcher? ……. Well it seemed to have a flycatcher’s bill. Then it flew off. Ha! White outer tail feathers visible – of course, it was a Brown-backed Honeybird! 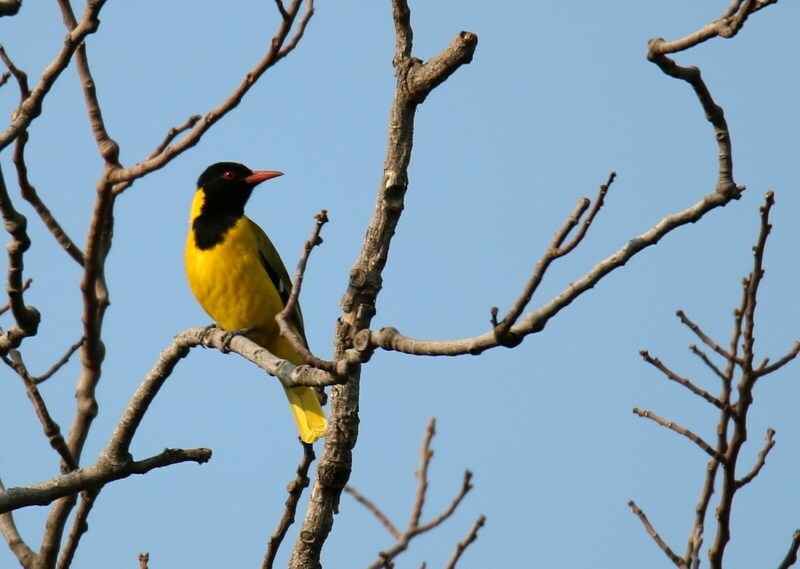 A Black-headed Oriole was heard calling close by, and there it was perched beautifully on a branch for all to see! 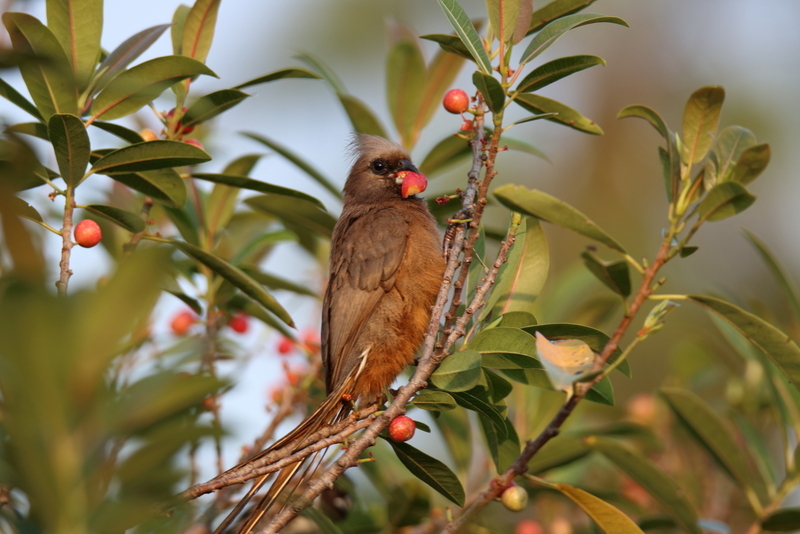 An exotic South American tree with large yellow fruit provided a feast for the Speckled Mousebirds and they were also feeding on the fruit that had fallen to the ground. A Black Sparrowhawk flew over but it did not perch on it’s usual spot on the Norfolk Pine. 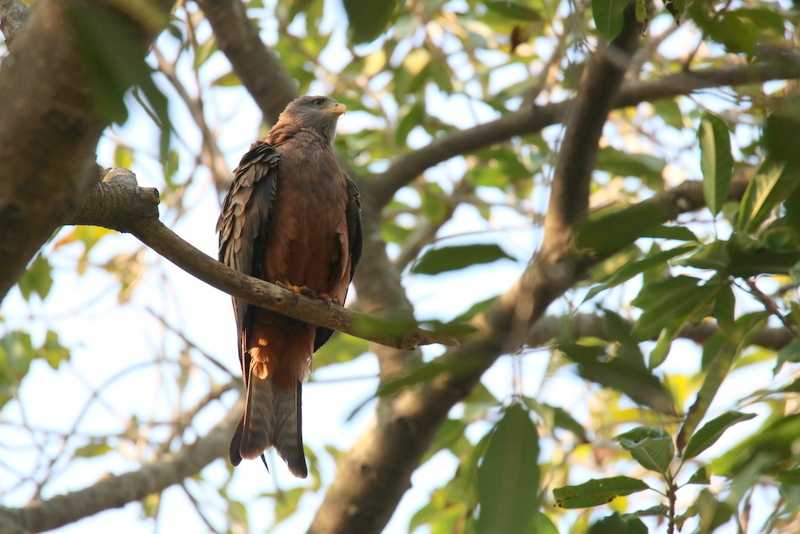 We did, however, have a very obliging Yellow-billed Kite which flew into a tree and provided a good view. It was the first for the season for some of the group. Then it flew out and joined another Kite on a branch of a Norfolk Pine – that was a real bonus! 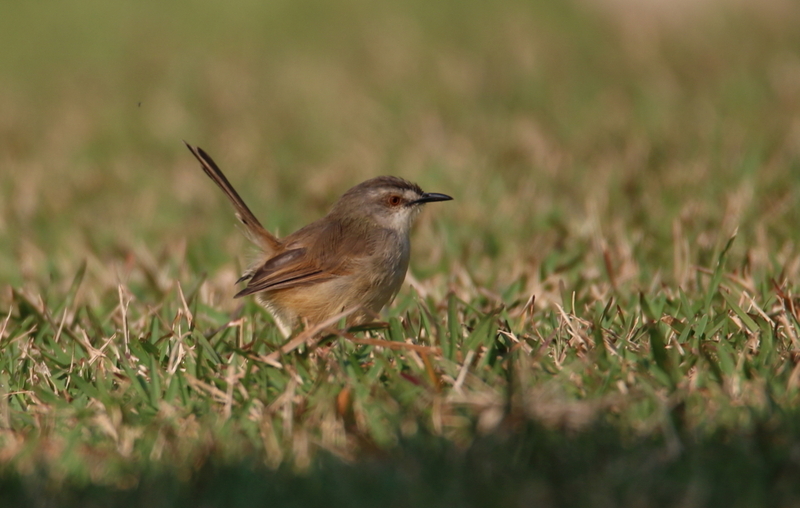 Black Flycatchers and restless tawny-flanked Prinias were numerous. 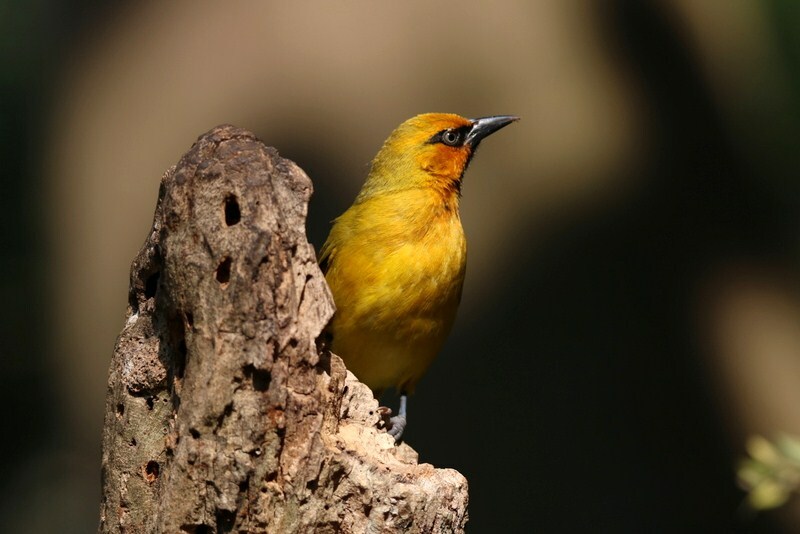 Only two species of Sunbird were seen – Amethyst and White-bellied, but we did hear an Olive. 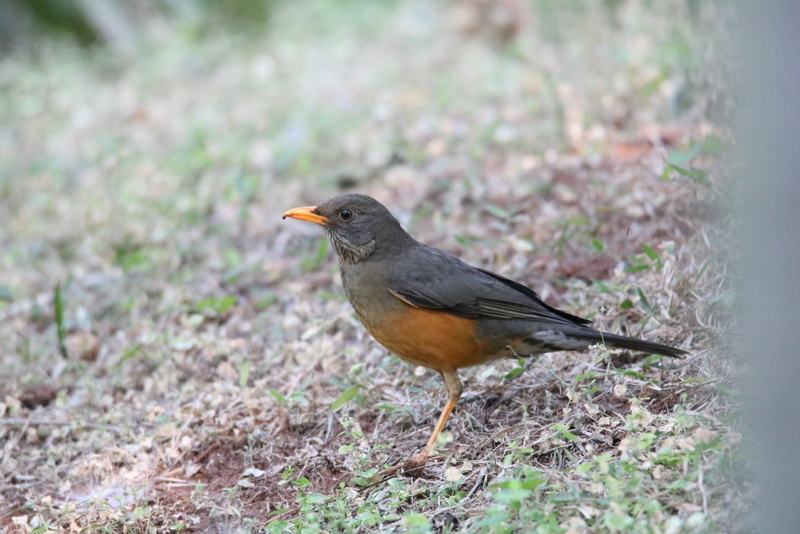 There was one Olive Thrush and numerous Kurrichane, but one had us scratching our heads and debating – maybe a hybrid? 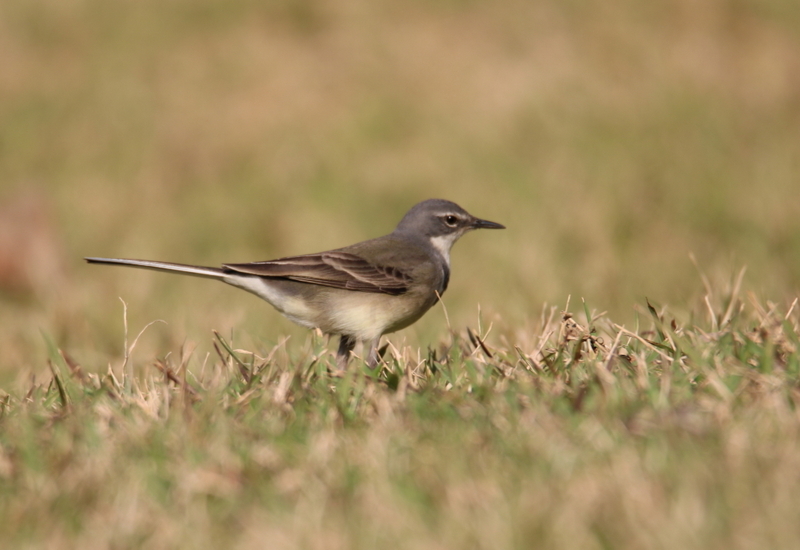 Pretty Cape Wagtails were seen wagging their tails on the lawns. 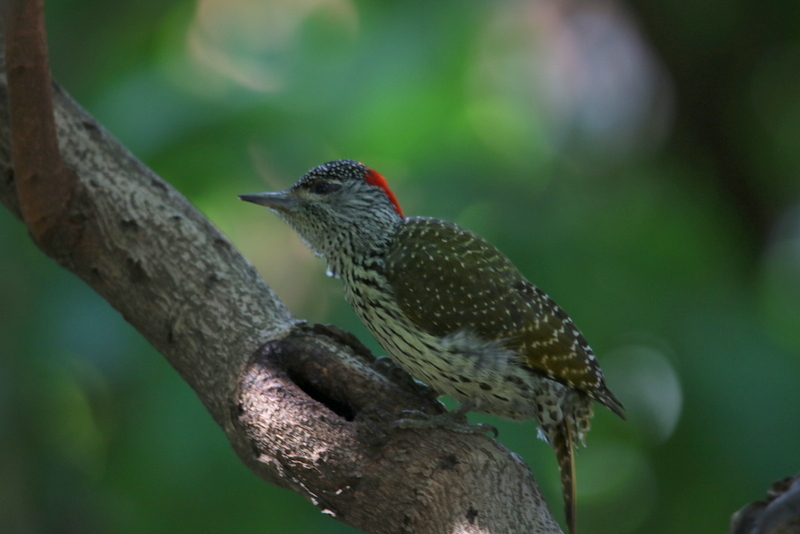 Golden-tailed Woodpeckers were quite vocal during the morning and we saw one in a tree making it’s shriek. We came across two Egyptian Geese having a really vicious fight. The thwacking of bills and wings was so loud. They must have been males having a fight over a lady-love. Spring is in the air! Two minutes later we had three Common Mynas involved in a noisy scrap (as mynas are prone to do). Time for tea at the kiosk, and the House Sparrows were after all the scraps. 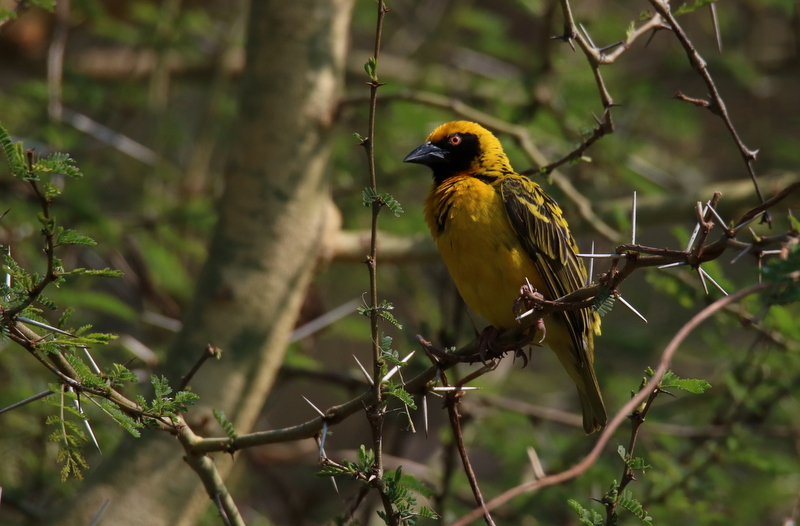 A gorgeous Spectacled Weaver perched on the wall watching us and patiently hoping for a treat. The species count was 50 at this stage. As we headed off to see what birds we could find at the butterfly dome, a Pink-backed Pelican flew overhead. We also got Grey-headed Sparrows, and a male Chinspot Batis along the way. Then we added Southern Fiscal at the butterfly dome. This area is always good for birds as indigenous trees and shrubs have been planted to attract butterflies and birds. There were Carpenter bees flying around the Polygala Myrtifolias (they are the pollinators of the Polygala). So with 4 species added the total count was 54. Click here to see the list. 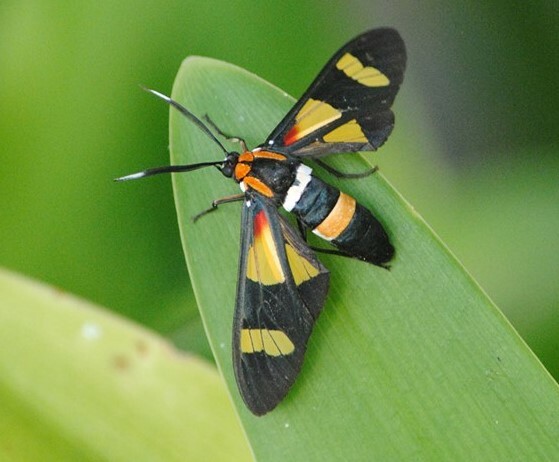 As we were leaving we were lucky to find a stunning Pleasant Hornet moth (Euchromia amoena). Thanks to John Bremner for the photos. 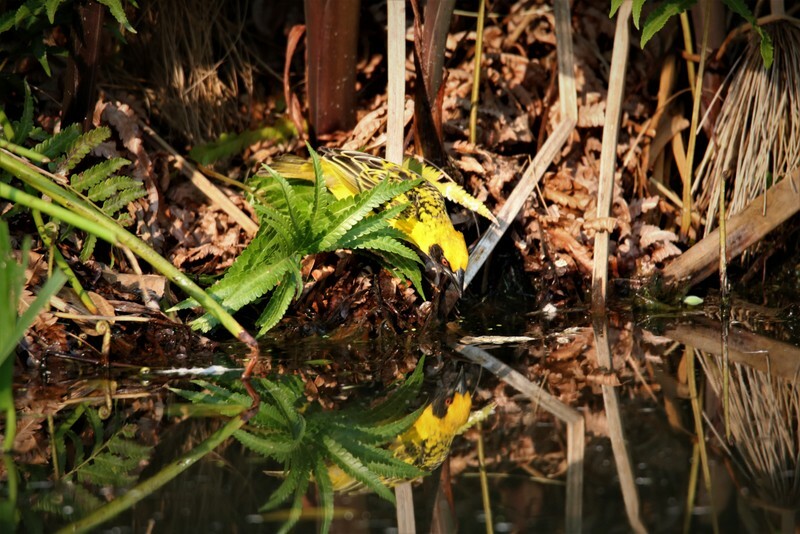 This entry was posted in Activities, Home, Posts, Reports and tagged Durban Botanical Gardens. Bookmark the permalink.